This pallet recycling is such an awesome activity, it has really transformed my life. I have a feeling deep inside my heart that just by recycling the wooden pallet I am indirectly discouraging the cutting of trees and I am promoting the green lands and healthier lives. So I am so passionate towards my work because I do it from the core of my heart. 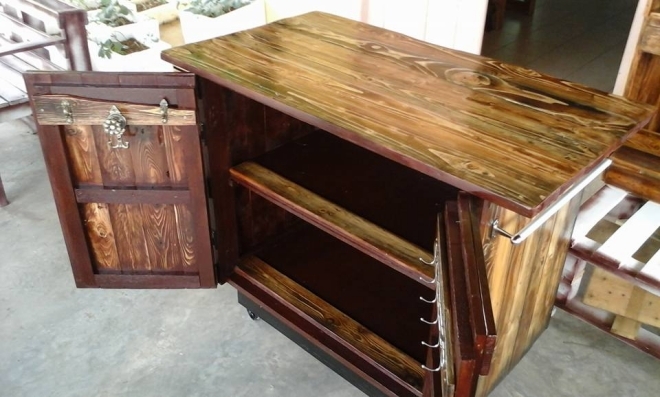 Take the pallet wooden recycling as a good and positive deed, something for good. 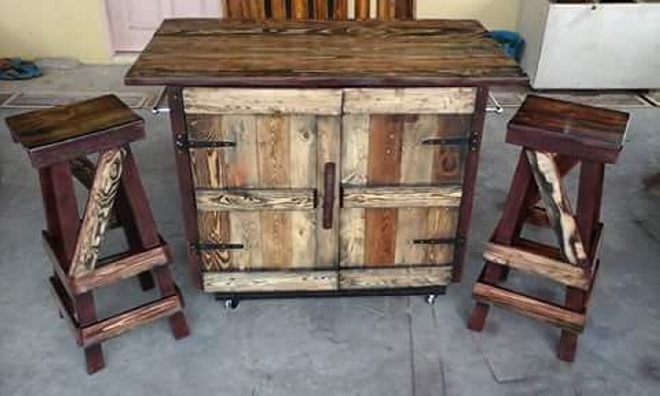 Let’s make a pallet rustic kitchen island. We have already given you a number of pallet kitchen island ideas earlier in our website, but this one for sure is going to totally different in design and appearance. As I said before that I do it just as a positive thing that contributes to my community. It saves them a lot of bucks. It gives new life to the trashed and discarded things. And it gives us best substitutes of market based expensive furniture items. 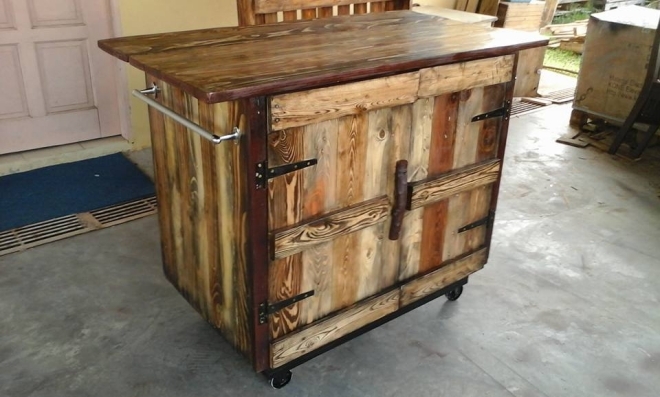 Same is going to be the case with this splendid pallet rustic kitchen island. You can not get more than that from anywhere else against such a minor cost and effort. Here we have that above mentioned pallet rustic kitchen island along with a couple of some tall stools recycled with the same wooden pallet. It has a huge cabinet inside, while a long and broad table on the upper portion of the kitchen island. Plus it has also got the built in wheels which make it damn easy to move the pallet kitchen island. 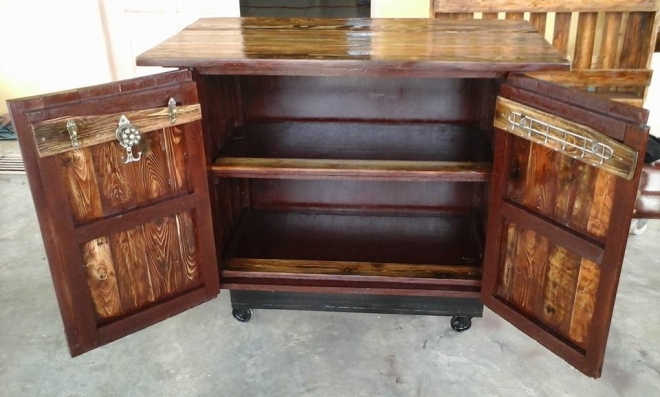 Just grab this wooden beauty and enjoy your time spent in kitchen which is normally a tiring place. Use the inner cabinet for placing accessories and the upper table foor placing the stove or just cutting vegetables.